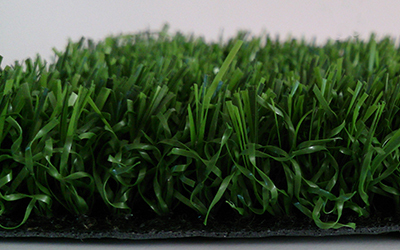 24mm pile height hardwearing soft durable state of the art non infill monofilament grass surface. Total weight approximately 2.65 kg per sq metre. Two tone green pile along with green thatch and black backing.